WASHINGTON (AP) — Congressional Republicans and Democrats announced Saturday they had reached an agreement on a sweeping Russia sanctions package to punish Moscow for meddling in the presidential election and its military aggression in Ukraine and Syria. Rep. Steny Hoyer of Maryland, the No. 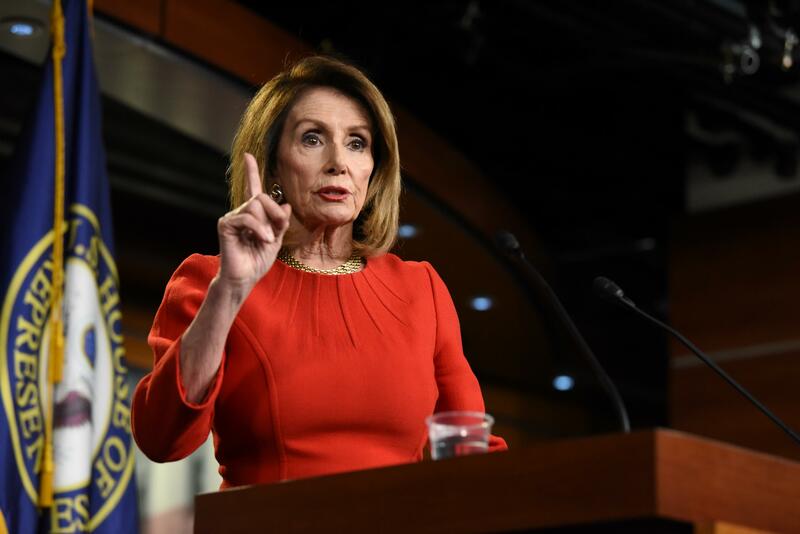 2 House Democrat, said lawmakers had settled lingering issues with the bill, which also includes stiff economic penalties against Iran and North Korea. The sanctions targeting Russia, however, have drawn the most attention due to President Donald Trump’s persistent push for warmer relations with President Vladimir Putin and ongoing investigations into Russia’s interference in the 2016 campaign. Passage of the bill, which could occur before Congress breaks for the August recess, puts Capitol Hill on possible collision course with Trump. The White House had objected to a key section of the bill that would mandate a congressional review if Trump attempted to ease or end the sanctions against Moscow. But if Trump were to veto the bill, he risks sparking an outcry from Republicans and Democrats and having his decision overturned. The sanctions review was included in the bill because of wariness among lawmakers from both parties over Trump’s affinity for Putin. The precise mechanics of how involved House Democrats would be in the review process had been a key sticking point, but Hoyer said he’s satisfied with the outcome. “The legislation ensures that both the majority and minority are able to exercise our oversight role over the administration’s implementation of sanctions,” Hoyer said. Senate Minority Leader Chuck Schumer called the sanctions legislation “strong” and he expected the legislation to be passed promptly. “Given the many transgressions of Russia, and President Trump’s seeming inability to deal with them, a strong sanctions bill such as the one Democrats and Republicans have just agreed to is essential,” said Schumer, D-N.Y.
House Majority Leader Kevin McCarthy posted a legislative business schedule that shows the sanctions bill will be voted on Tuesday. McCarthy, R-Calif., had pushed to add the North Korea sanctions to the package. The House had overwhelmingly passed legislation in May to hit Pyongyang with additional economic sanctions, but the Senate had yet to take up the bill. The Senate last month passed sanctions legislation that targeted only Russia and Iran. Congressional aides said there may be resistance among Senate Republicans to adding the North Korea penalties, but it remained unclear whether those concerns would further stall the legislation. The aides were not authorized to speak publicly and requested anonymity to discuss internal deliberations. The House and Senate negotiators addressed concerns voiced by American oil and natural gas companies that sanctions specific to Russia’s energy sector could backfire on them to Moscow’s benefit. The bill raises the threshold for when U.S. firms would be prohibited from being part of energy projects that also included Russian businesses. Although there is widespread support for the legislation, the bill stalled after it cleared the Senate over constitutional questions and bickering over technical details. In particular, House Democrats charged that GOP leaders had cut them out of the congressional review that would be triggered if Trump proposed to terminate or suspend the Russia sanctions. But Republicans rejected the complaint and blamed Democrats for holding the bill up. The review requirement in the sanctions bill is styled after 2015 legislation pushed by Republicans and approved in the Senate that gave Congress a vote on whether then-President Barack Obama could lift sanctions against Iran. That measure reflected Republican complaints that Obama had overstepped the power of the presidency and needed to be checked by Congress. According to the bill, Trump is required to send Congress a report explaining why he wants to suspend or terminate a particular set of sanctions. Lawmakers would then have 30 days to decide whether to allow the move or reject it. The North Korea sanctions bill included in the package bill cleared the House by a 419-1 vote and House Republicans became frustrated the Senate didn’t move quickly on the measure given the vast bipartisan support it received. The measure bars ships owned by North Korea or by countries that refuse to comply with U.N. resolutions against it from operating in American waters or docking at U.S. ports. Goods produced by North Korea’s forced labor would be prohibited from entering the United States. The sanctions package imposes mandatory penalties on people involved in Iran’s ballistic missile program and anyone who does business with them. The measure would apply terrorism sanctions to the country’s Revolutionary Guards and enforce an arms embargo.